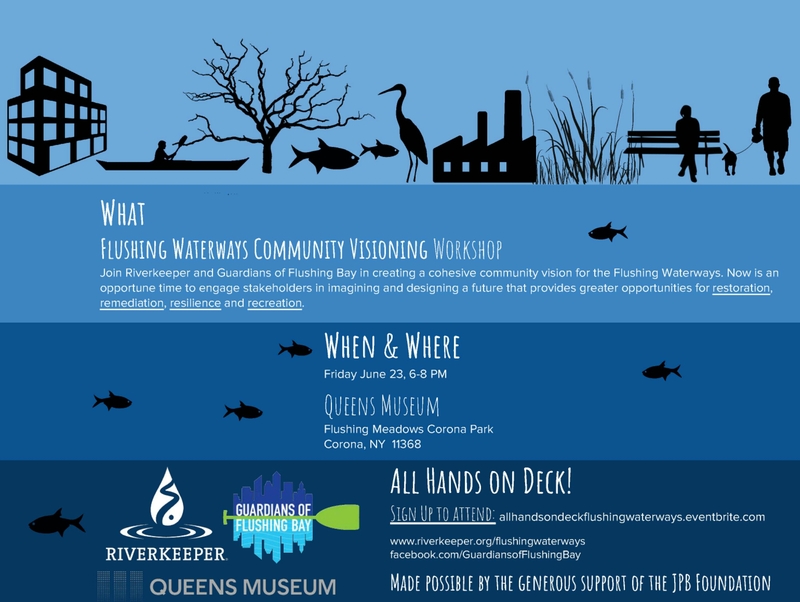 Our friends at Riverkeeper and Guardians of Flushing Bay are working to create a cohesive community vision for the Flushing Waterways. You’re invited to Friday night’s visioning workshop to share your ideas and experience to improve our neighborhood. We can work together on the most pressing issues of our area, including restoration, remediation, resilience, and recreation. This event is free, just bring your interest in helping our community. Working together we can solve issues like park/waterfront access, waterfront design, sewage overflow, infrastructure improvements, the equitable future of public space and more. We look forward to seeing you on Friday.